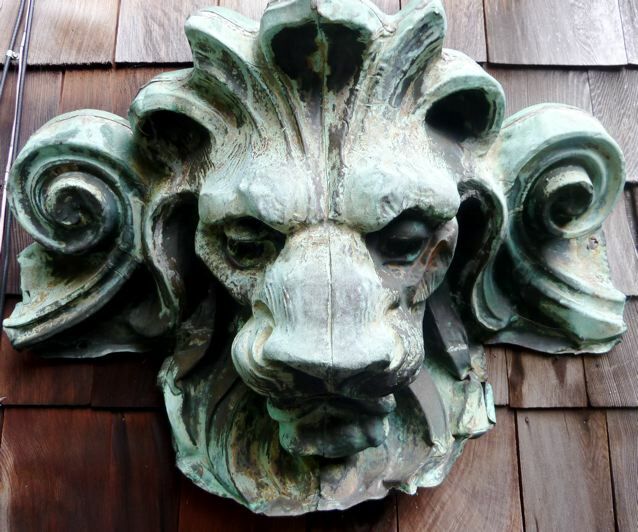 The lion's head under the gable roof seems identical to one rescued from the Bethlehem Steel Administration Building shown at bottom of this page. 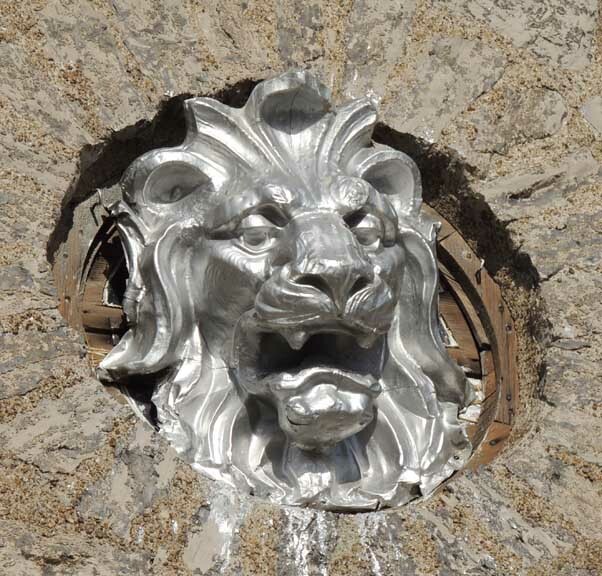 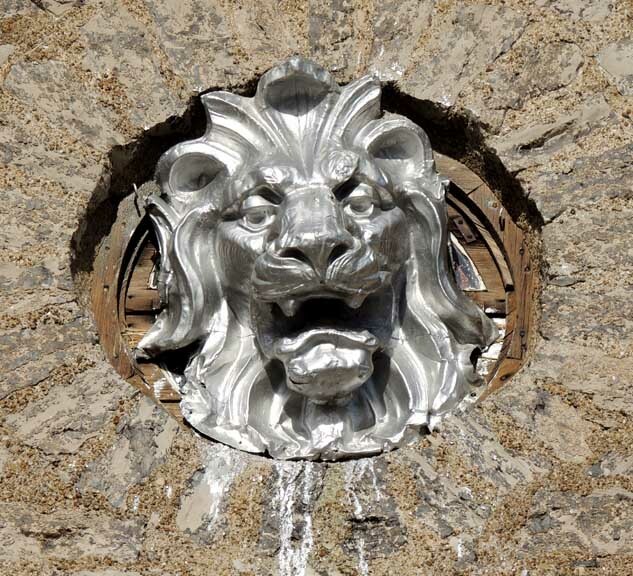 Lion's head rescued from the Bethlehem Steel Administration Building before it was demolished in January of 2013. 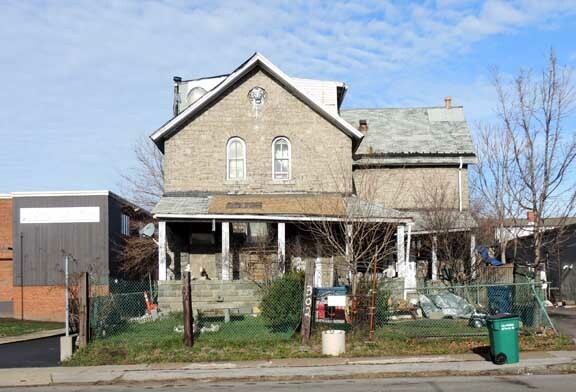 Photo courtesy of Michael and Sandra Starks. 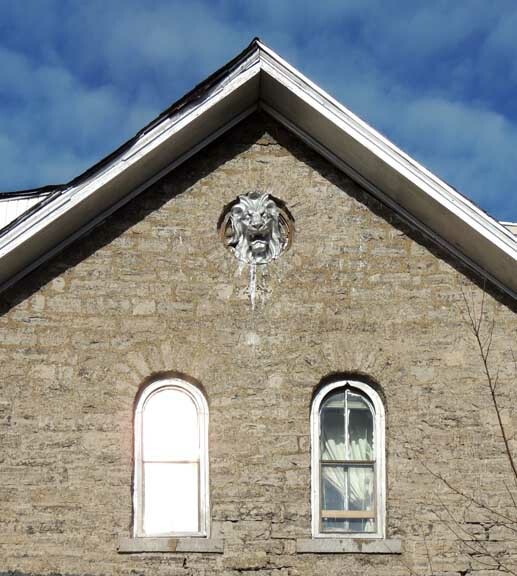 Special thanks to Michael Starks for spotting the lion's head at 302 Kensignton and sharing the information.